Fun Time Adventure Rentals officially opened May 1 and, according to the owners, have been a great addition to the Hollister community. Lindsay Eskew, along with her husband, Aaron, and parents, Greg and Lisa, own the rental shop of scoot coupes, mopeds and kayaks. The idea to open the shop came about four months ago when the family was on vacation in Sarasota, Florida, Lindsay said. Then, little blue cars — scoot coupes — caught their attention, she said. 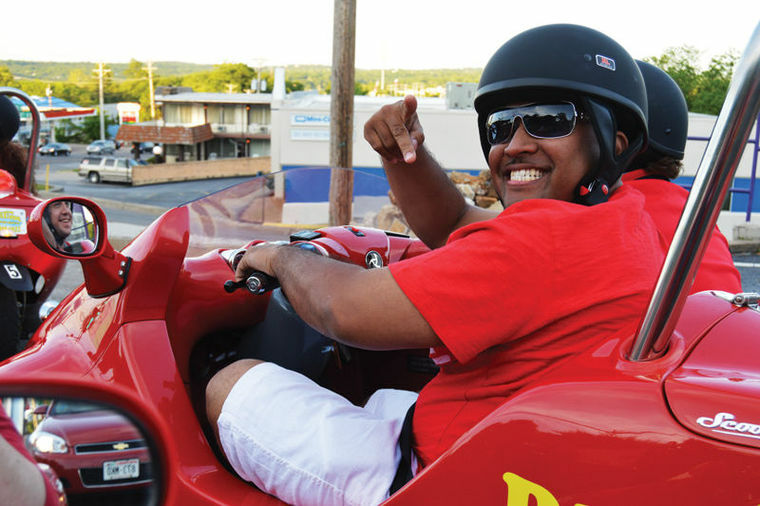 After discussing the idea of bringing scoot coupes to Branson, about a month went by when Lindsay heard from her dad that he was done working construction after 35 years. “My dad said, ‘I think I’m done in construction and can move to Branson to run the shop,’” Lindsay said. Both she and her husband have full-time jobs, so this was all the prompting they needed to open the shop. “We knew that we wanted to be in Hollister,” Lindsay said. Aaron, who is a Hollister alderman, agreed. “It’s something different we can offer, which is really cool,” Aaron said. Aaron said that the scoot coupes offer a very safe ride. No driving on the highway though, Lindsay emphasized. “It’s dangerous and the state police will pull you over,” she said. 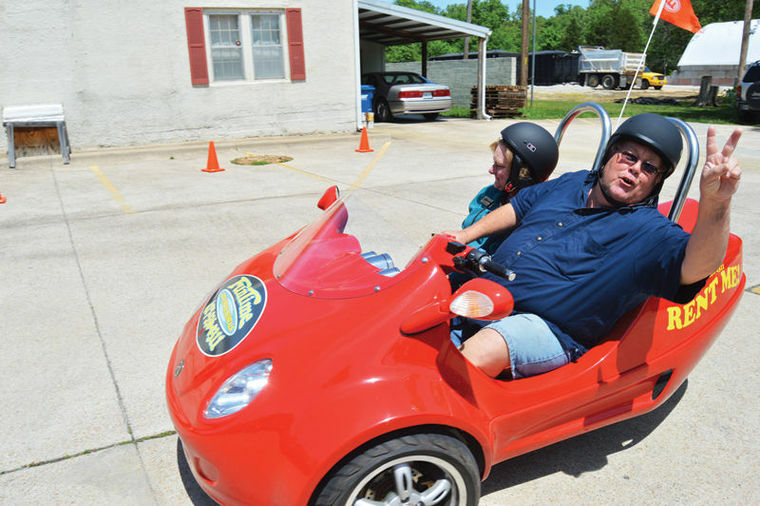 To rent a scoot coupe, Lindsay said, a driver’s license and major credit card are needed. The safety deposit is $300, she said. “That’s just to cover if it gets lost — a part of it — so nobody will just run away with it,” she said. The scoot coupes are just one option at Fun Time Adventure Rentals, Lindsay said. “We wanted something else to rent besides scoot coupes, so let’s throw in some mopeds for family reunions and kayaks and things,” she shared. Originally, Lindsay thought the age range of people interested would be between 30 and 50. In the future, Lindsay said she hopes to start doing scavenger hunts for folks who rent. • Kayaks: $10 an hour, $40 for a whole day or $55 for the tandems. Area appreciation ends, Sunday, May 17, Lindsay said.